Busy B Groundskeeper and Floor Care Inc. Copyright 2013. Busy B Groundskeeper and Floor Care Inc.. All Rights Reserved. Busy B Groundskeeper&Floor Care Inc. THE REAL BUZZ IN TOWN! We understand that our service relies heavily on the personnel that we hire; so, we place great emphasis on hiring the right employees from the start, then properly training them, and finally, provide them ongoing support, supervision, and training on new technologies. We currently have commercial contracts with large government buildings and small homes we clean for “snow birds”. Proving that no job is too large or small for us to handle. Click SCHEDULE NOW!! or call us for more info. 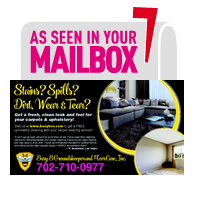 ​LEAVE US YOUR EMAIL FOR A FREE UPHOLSTERY CLEANING!!! 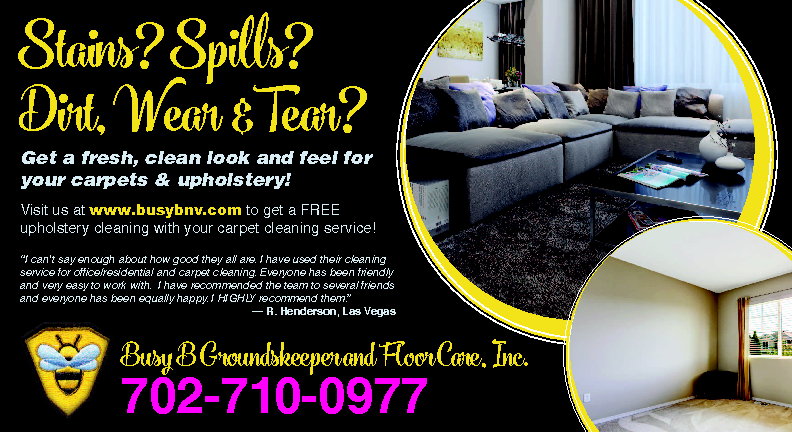 LEAVE A REVIEW, RECEIVE A FREE UPHOLSTERY CLEAN! !